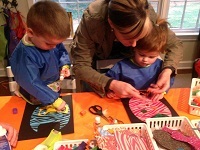 Find some fun art studios in PA for your child to spend a fun afternoon creating in a variety of media. A fun rainy day activity is to go to one of thes great Pennsylvania art studios where your child's imagination can run free. Plan your child's next birthday at one of these art studios in PA that offer kids parties. 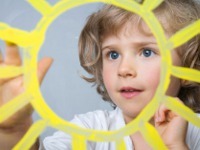 One of the Top Pennsylvania Art Studios for Kids! 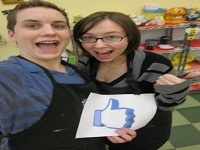 Abington Kids Creative Arts Studio is a fun place where children can create art and learn artistic techniques from helpful teachers. Get your kids away from staring at video game or television screens and get them imagining and using their hands and minds to make beautiful things. This great art studio in PA offers morning and afternoon art programs where helpful teachers will guide your child in learning visual arts, pottery, music and other arts. Great for homeschoolers! 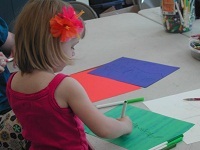 Check out their art summer camps and art birthday parties too! If you are interested in martial arts and you want to teach them, then the Martial Arts Studio in PA is the right place for you. The story of Martial Arts Studio started in 1998 when Sensei Ben La France looked around at the state of the martial arts community and said “Things need to change”. He knew that there was more to the martial arts than winning tournaments or just getting your black belt. The martial arts are a way of life and he wanted to teach that to the public. 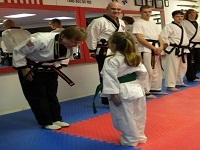 The Martial Arts Studio offers programs for youth, adults and many different martial arts programs. You can choose Wing Chun Kung Fu, which is the most effective and complete form of self-defense in the world, or Kickboxing if you want to punch your boss in the nose! You can learn that and more during a bag-slamming, fat-blasting, Stress-releasing Fitness Kickboxing class. During the past 20 years, obesity among adults and children has risen significantly in the United States. If you take care of your health and you want to burn the calories away then Living Art Studios is a perfect place for you in PA. Their mission is to provide affordable and professional performing arts and fitness programs for all. More important is that they want to give the youth an outlet of self-expression and a great enriching diversion from the urban city life. At Living Art Studios you can dance, keep yourself or your children physically fit as well as culturally aware through the performing and martial arts. Dance is the most natural and fun work out on the planet. So, what better way is there to get in shape while having fun with dance? If you are looking for a place where you will deal with flexible people, then Mulberry Art Studios in PA is waiting for you. They are very laid back, but they will do anything to make your day perfect and special. They make things wonderful. Also they have a small price, but they do have a lot to offer in that price. Mulberry hours are from Monday to Friday: 10am to 4pm and evening & weekend hours by appointment. The location is beautiful, the staff is very friendly and warm and the most important thing is that they are so flexible with their pricing and also opened to every new and interesting idea. 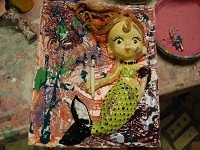 In business for over 19 years Mermaid art studio is really a ‘’ home-grown’’ studio. With the entire floor mosaic (by owner Denine Wish and kids from class), you know upon entry, this place is no chain, it is one of a kind. There is a party room. It’s yours to book for whatever the occasion. Groups up to 25 can be hosted in the party room. If you have more, than they can host your group up in the front of their studio. Birthday parties, a “ladies night out” (of course gentleman are welcomed too), a scouts project for art merit, a baby shower, a get together for your church or synagogue. There is never a dull moment at a Mermaid birthday party. At Mermaid art studio in PA you can schedule your own private class or go with a group of your friends, children’s classes or adult... you choose. 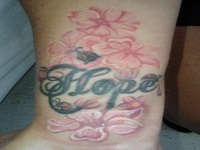 If you believe that art does matter, then Art Matters Studio in PA is the right place for you. This studio offers fine arts classes and art enrichment programs for students, from toddler to adult. The studio also offers after school programs, craft workshops, private lessons, and “Art on the Go" programs. 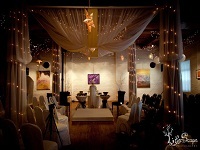 They also offer one of a kind, custom “Arty Parties” for birthdays and events. You can have them at their location or one of your choosing. At Art Matters Studio students will learn art skills and techniques while gaining the confidence to explore their own creative vision. Their instructors have advanced degrees in Fine Arts, Special education and Counseling with over 25 years of experience teaching in both private and public institutions. Their class sizes are kept small to allow students to get plenty of individualized instruction while being encouraged to bring their own interpretation to assignments. If you find yourself wanting to create bigger projects and you lack studio space, then Appalachian Arts Studio in Pennsylvania is waiting for you. Take a tour of the sculpture studio, painting studio, carving studio and print shop. Classes are also available, but with a twist. Studying here is not a typical classroom setting, but rather a one-on-one learning experience with one of the artists depending on what you want to study. Appalachian Arts Studio was created to encourage and nurture the appreciation and participation of the arts to all who enter its doors. 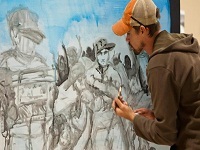 Artists from all over come to use the studio space and to expand their creative endeavors. Through workshops and hands on experience they provide a journey through the creative process. Chainsaw Carving, Pottery, Painting, Printmaking, and Primitive Arts are taught and encouraged at the Studio. It was founded in 1990 in order to support the local artists and help their arts become more accessible to the general public. YorkArts Art Studio in Pennsylvania supports members from 5 years old to 95! There are different classes and programs available. In the YorkArts Gallery everyone can host a poetry reading, a musical event, or a birthday party. It can be used to hold a business reception, mixer or organizational get-together in the large main gallery space. A unique art studio in Pittsburgh started with an idea of nurturing art and expression, providing classes costing from $5 per hour and up, also some of them for free. 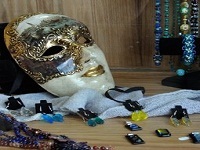 The main goal is to support the local artisans, selling their products in their gift shop. There are different types of classes available: Drawing; Calligraphy; Painting; Needle Arts; Stained Glass; Jewelry & Breading for all ages (12 and older) and skills. For special events greeting cards can be printed and bought at Pin Oak Art Studio in PA, a glass window mosaic or a pair of earrings can be purchased as well. In a relaxing and creative atmosphere Busy Bees Pottery & Arts Studio is the place where you can create your own masterpiece. Even if you do not have the talent, with the help of friendly and trained professionals, cool tools and unlimited ideas everyone can make a masterpiece! Busy Bees Pottery & Art Studio is the ideal place to host a birthday party, a girls’ night out, a baby or bridal shower, a business, church, youth group or any other special occasion in PA.
Busy Bees is working every day in a week except Mondays, opening at 11 am closing at 6 pm on Tuesdays, Wednesdays and Saturdays, closing at 5 pm on Sundays and at 8 pm on Thursdays and Fridays.